For some reason, men are the only artists allowed to mimic or give homage to the artists that came before them. Will Smith takes on Michael Jackson, Kanye takes everything from Gil Heron and P-Diddy takes on... well, everyone. But when Lil Mama does it? Oh no. How dare she!?! I swear, had she sent a 'beat-em-up' message or a derogatory one, she would have been harassed less. But the world didn't listen to the hip hop critics (publications praised her). The world instead listened to her song. A lot. And I did too. I still am. So I clapped my hands when I realized, while going through my music during the last taping, looking for a song to dance to for you, that I could finally put my love for her to good use. Since it's not something one would request at a dance, it was incredibly fun to dance with freedom to it just for you. I loved every second of it, and I hope you end up loving it too. As you'll read in my next few Knee Journal entries, I won't be able to tape anymore of these until my surgery. Luckily, I have a few saved up though, so I'll be back next week with some more for you. But just don't show this to my doctor. She just might pass out. Whoops! Oh well. I didn't know it was so bad at the time of taping!!! But more on that later. For now, let's get to the dancing. Let's do it! So there it is. Hope you enjoyed & learned! Much love, and until next time! Love the music? 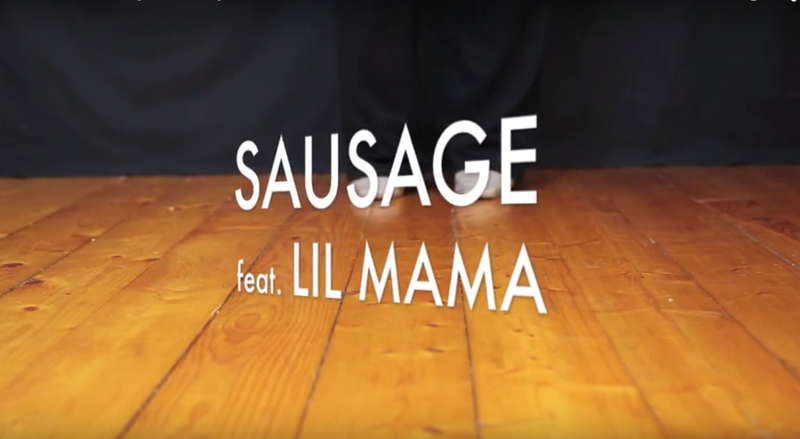 Here are some other links to enjoy: Click here to view Lil' Mama's Sausage Video. Click here to find a free .mp3 download version of it on Soundcloud. She released the song for free. It's not on iTunes. She is truly a class act.